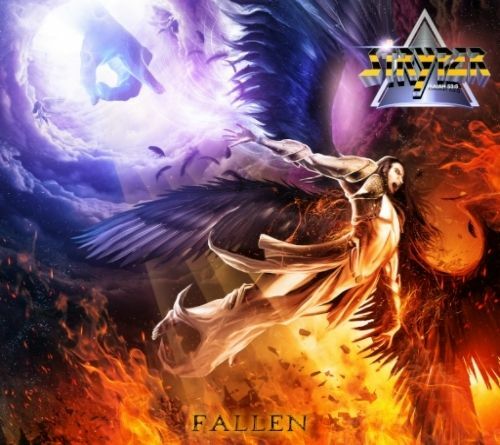 Stryper released their latest album entitled “Fallen” through Frontiers Records on 16th October. 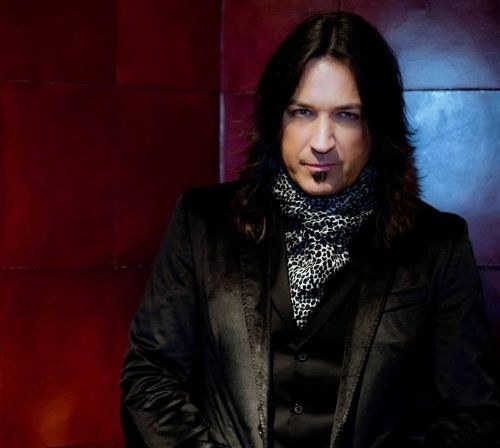 I had the opportunity to talk to singer and guitarist Michael Sweet via Skype on 18th October and talked about the new album, tour plans, the recording of a new solo album, upcoming projects with George Lynch, Joel Hoekstra and more. It was actually our second conversation as we’d had some technical issues during a previous call and Michael was good enough to take some more time to talk to me again. NI ROCKS – Hi Michael, thanks for taking some time to talk to Rock Radio NI. I wanted to talk first of all about the new Stryper album “Fallen” which was released last Friday. First up I should say it’s a really great album. NI ROCKS - It has been called the heaviest album that Stryper have done. Is that a direction the band has headed naturally over the years? MICHAEL – Yeah definitely. We’ve been trying slowly but surely to get back to where we came from – back to our roots so to speak. Like all bands when you grow as a band you listen to different music, you get older, things change, life changes. And that affects your music and your style of writing and your edge and all that. And we experimented a lot with “Reborn” (released 2005) and “Murder By Pride” (2009) and came to the realisation that fans want to hear a particular style, which is, pretty much our old style – you know “Soldiers Under Command” (1985), “To Hell With The Devil” (1986) and “In God We Trust” (1988). So that is what we’ve been slowly but surely getting back to. I feel we’ve done it completely with the last albums “No More Hell To Pay” (2013) and now especially with “Fallen”. NI ROCKS – It’s a great album! It was recorded at Spirithouse Recording Studio in Massachusetts with the whole band being present. These days so many albums are recorded with the artists in different studios. How important was it for you to have everyone together? MICHAEL – It is very important. A lot of albums are recorded where the tracks get sent around and people record in their own houses at their own leisure. It’s important for us because we’re a band and if we’re in the same room we feed off of that. We’re able to look at each other and say “I don’t know, try this” and we have fun. That translates into the tracks. If Robert is tracking drums and we’re in the studio, we’ll be looking at him and lifting our hands and yelling and he’ll be laughing and smiling and it just makes for a great experience. When we record at Spirithouse we sleep there, we eat there and we record together until basically it’s done. NI ROCKS – How long did it take to do the whole album? MICHAEL – To do all the basic tracks it took just a few weeks then I went to my house and I tracked my vocals. And then I went back once I’d done the vocals and we mixed it. That was it. NI ROCKS – A great result! MICHAEL – Yeah, I love it. I do all the vocals here at the house because I’m able to work at my own pace. Sometimes I wake up and I just don’t feel like singing or I might not sound very good, if my voice is froggy or whatever. If I’m in the studio I have no choice and I’ve got to sing no matter what. This way I can do it when I’m feeling at my best. I can take breaks, go get a coffee or take the dog for a walk. It’s just a nice feeling when I do it at my own pace. NI ROCKS – It might come as a surprise to some that the album includes a cover of the Black Sabbath track “After Forever”, though you did a cover of “Heaven and Hell” on the album “The Covering”. Why Sabbath and why that track in particular? MICHAEL – Well Sabbath because we grew up with Sabbath and we were all playing it in our bands when we younger. They were an influence of ours, along with many other bands. We did a cover of “Heaven and Hell” as everybody knows, not just to pay tribute to Sabbath but to pay tribute to Ronnie James Dio. This time around with “After Forever” it was one of those things were musically it just seemed like a good fit. I heard the song and I hadn’t listened to it recently and I thought wow this is great. Then I read the lyrics and they kinda blew me away actually. The lyrics are just right in line with everything else on not just this album, but everything else we’ve ever done as a band. It was just a no-brainer. It’s a very Christian song, though you wouldn’t think that coming from Black Sabbath. NI ROCKS – It’s a great fit. I’m going to play a track from the new album now. Perhaps you’d like to select a track, tell us something about it and introduce it. MICHAEL – Well you know, I have my favourites. Everybody has their favourites. Right now there are three or four songs that are really hitting me. One of those songs would be the first track which is a co-write with Clint Lowery of Sevendust. Six and half minutes epic song. First song that we released actually. It’s got four signature changes and is a little bit more on the progressive side for us. It’s a song called “Yahweh”. Musically very powerful and lyrically it’s about the crucifixion of Christ and definitely I think one of the most powerful songs we’ve ever done. NI ROCKS – Are there plans to take Stryper out on tour with this album? I was having a look for dates but didn’t see anything other than a few solo shows in the US. MICHAEL – Yeah, this year was a bit of a break for us. We didn’t do a lot. And we do that from time to time. We’ll just take the year off from touring. Our plans are to start in April next year; from April to November we’re going to tour heavily. Once those dates start confirming in the next few months we’ll start adding them to the website. NI ROCKS – The US and Europe, and further afield? MICHAEL – Oh, yes of course. Absolutely. We’re planning on Europe, Canada, South America and USA. Hopefully Japan and Korea. It’d be nice to get to some places that we’ve never been, like China or Russia. I don’t know how it would go throwing bibles out in those two places, but we’ll see; you never know. NI ROCKS – Your focus at the moment is obviously the release of “Fallen”. However, I read that you’d be working on a new solo album with Rat Pak Records. Firstly can you tell us who you’ll be working with on the album and when we might expect a release date? MICHAEL – That is absolutely true. I’m working on it now. Right before you and I spoke, I was working on a new song. It’s going to be a great album. I’m very excited about it. I’m going in a heavy direction. Typically on solo albums I go a little lighter and it’s a little bit all over the map. I’ll go from a heavy song to an almost borderline pop / country song. This is going to be much more focused on just one particular style. I’ve got Will Hunt from Evanescence and Black Label Society; he’s going to be drumming on it. Bass, I’m not sure. I’ve talked to a few guys but I’m not exactly sure at the moment who is going to be playing bass. I’m doing all the guitars and singing. It’s not going to be a keyboard or background vocal kind of album; it’s going to be a real bare-bones, raw, in your face guitar album. NI ROCKS – Good stuff! Your solo albums have varied over the years with different styles, so this one is going to be an out and out rock album? MICHAEL – This is going to be an out and out rock album; exactly! I haven’t really done that. The closest that I came to doing that was with two albums I’d say - the first solo album (“Michael Sweet” 1994), that was more like an arena rock kinda thing and then the album “Truth” (2000). But if you listen to songs like “Save Me” (from “Truth”) or “Taking On The World Tonight” (from “I’m Not Your Suicide”, 2014), this is going to be an album of songs like that entirely. The heavy side of Michael Sweet on this album. NI ROCKS – And roughly, a release date? MICHAEL – I’m going to say May or June of next year. About six or seven months from now. NI ROCKS – Ok. Rat Pak release some great albums, so I’m looking forward to hearing that. MICHAEL – You know what, they do and I like Joe. I think Joe is an honourable guy and a fantastic person. They work their butts off over there and it amazes me what they do, with like 3 or 4 people working there. They do incredible work. With the KXM album I think they sold 10,000 units the first week out. I’m excited to see what they do with a Michael Sweet album. It’s going to be cool. 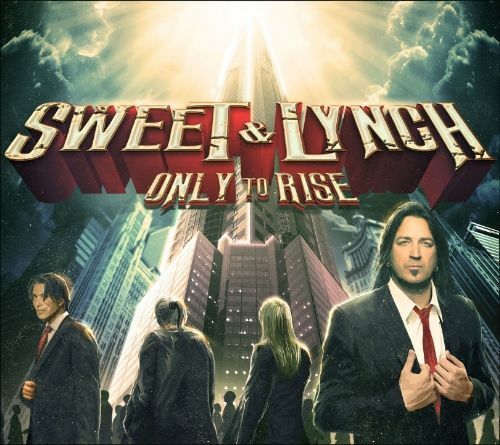 NI ROCKS – In January you released a great album with George Lynch called “Only To Rise. George posted a goofy album cover mock-up last week. Can we expect a second Sweet & Lynch album sometime soon? MICHAEL – Absolutely, we’re talking right now about it; George and I, and we’re trying to work out all the details. We’re going to do another album, I just don’t know when. I think even more important is that we’ve got to get out there and tour. We’ve got to play these songs live so that people can hear them. We’re excited about that, but we just weren’t able to make that happen this year because we were so busy. NI ROCKS – There was some talk that when the album was released you might do a kinda combined tour with Lynch Mob and yourself, but that didn’t quite work out. MICHAEL – We could do that. I would be pulling double duty and George would be pulling double duty too. We could make that happen. It would be a lot of work, but we got to figure out a way to get out there to tour so that people can hear these songs. He also mentioned that he’d like to get you involved in a resurrected T&N project along with Jeff Pilson, Mick Brown and himself. Though it would be under a different name. It would be like the Dokken line-up, but probably wouldn’t happen until 2017. Anything you can tell us about that? MICHAEL – Well, we have talked about it. I’ve talked to Jeff and I’ve talked to George; and we’ve all agreed to do that together. The toughest hurdle to overcome has been Jeff and how busy he has been with Foreigner. It makes it really difficult, actually impossible to do; but when we do get around to doing it, hopefully I’ll be the singer if they still want to use me and we’ll go out and do some touring. NI ROCKS – I’d like to play a track from “Only To Rise” now. Again, would you care to pick one and tell us a little bit about it? MICHAEL – Oh man, I think I had a tough time picking when we talked before! I’m going to go with a song on there which is still my favourite and I think it was what I said last time too. That song is “Time Will Tell”. There is something about that track that just moves me. I like the feel of it, I like the sound of it and it flows very well. It’s one of my favourite songs on the album and I hope everyone else agrees and everyone enjoys it. NI ROCKS – Are there any other musicians that’d you’d love to work with on an album or even on just the one track? I know there has been a lot of stuff in the press this past week about producing an album for Van Halen, but as a singer is there someone you’d like to work with? MICHAEL – There’s a lot of people out there. I love Todd La Torre, Glenn Hughes, Arnel Pineda who sings for Journey. I love singers who have the range and the power and the tone. I’m going to be working later on down the road with Joel Hoekstra (Whitesnake), Robbie Crane (Black Star Riders) and Troy Luccketta (Tesla); I’ll be singing and we’re going to do a kinda throwback Zeppelin kind of thing. It’s going to be cool. That would be starting next year and hopefully be released by 2017. More Stryper albums; like I said another Sweet & Lynch album, the Michael Sweet solo album; there is so much going on that it’s hard for me to keep up with. NI ROCKS – You wouldn’t have time to produce a Van Halen album would you? MICHAEL – Well, who knows! (Laughs) It’s just seems like there is so much. I used to produce or be a part of an album every couple of years, now it’s like two albums a year. It’s unbelievable. NI ROCKS – Looking further ahead into 2016, we’ve mentioned quite a few projects but what can we expect to see from Stryper and Michael Sweet over the next year or so? MICHAEL – Lots of touring. We’ve got this album to support and we’re going to be very busy from April to November. That takes us through to the end of 2016. We’ll take the holidays off. We’ll probably do another album end of next year. I don’t know about a studio hard album, but we’ve been talking about doing an acoustic album. We’ve got some really cool versions of some of our songs done acoustically. So we may do that. We’ve talked about doing another “The Covering” (2011), like a “Covering 2” of some of our favourite covers. And we talked about another “Second Coming” (2013) album too and doing some re-records of “In God We Trust” (1988) and “Against The Law” (1990) songs and even maybe songs from “Reborn” (2005) because I wasn’t really happy with the sound on that album, but we’ll see what happens. NI ROCKS – I follow you on Twitter and Instagram. You’re quite active, particularly on the Twitter. Do you see it as one of the best ways now to keep in touch with fans and help promote things? MICHAEL – It is the absolute best way to stay in touch with fans and it’s pretty miraculous compared to the old days of snail mail. Now you can just instantly say something and hear what they say through comments. The only problem is that, as we all know, it also opens the doors to all the nut-jobs out there to come out of the wood work to say what they want to say, and the haters and all that kind of stuff. That’s just the down side of the internet. NI ROCKS – Yeah, unfortunately there are people that just want to see the bad side of things. NI ROCKS – Do you find much time to check out new bands or do you find yourself listening to older stuff? MICHAEL – I listen mostly to older bands. I occasionally check out new bands. I hear a lot of new music, but just not a lot does it for me. I’m just being honest. When I hear a band with guitar solos and a great singer I’m instantly drawn in. I’m not into growling and whatever. I know the younger generation like that kind of stuff but it just doesn’t do it for me. I like singing. NI ROCKS – Thanks again for taking some time to talk to us; it’s really appreciated. I wanted to finish with another track from “Fallen”. Perhaps you’d like to pick one and tell us a little about it. MICHAEL - We’ve got a brand new video out; it came out a few days ago. It’s for a song called “Pride”. Check it out, it’s our first video from the album. It features the whole band and we’re very proud of it. It’s a pretty rockin song and it’s called “Pride”.